The question doesn’t just apply when car shopping. With interest rates staying low and demand for good properties remaining high, new homebuilders continue to create new subdivisions. For some investors, they’re an attractive option, but for others, not so much. Like everything, there are benefits and downfalls to be aware of. Let’s take a look at some of the most common. Common logic is when you buy from plans you get the benefit of built-in appreciation by the time the property is built. This has been true over the last number of years because property prices have been increasing, and without much work the value of your asset is worth more by the time you actually own it. Generally, newly built homes will be fairly solid, so calls for general repairs should be as low as possible. Let’s be honest, very few of us look forward to calls from our tenants. New homes and their systems are all covered under warranties, so even in the event that a major system breaks down (furnace, roofing, windows, etc. ), you should be covered. Sometimes having the builder complete warranty repairs can be an inconvenience, but it shouldn’t cost you anything. People like new things and homes are no different. All things considered, if someone could get into something new for roughly the same cost as something used, they want the more updated, modern choice. Although this can be a benefit, there is a negative side to parking your money with a builder until the project is completed, especially if it is years away. The drawback is that markets don’t go up forever, ask anyone who has long-term investing experience through a complete real estate cycle. When you hand over your money and have no asset to show for it, you no longer have control and your risk increases. When you buy a new property as an investment, you are entitled to the HST rebate you would get when you purchase for yourself. So upon closing, it will cost you tens of thousands more out of your pocket. If you rent the property to someone who uses it as the primary residence you can apply for the rebate and should get the amount you paid in HST back, but that will be months down the road. When renting a property, people expect things like window coverings, a fence, fully paved driveway, and a garage door opener. All of which need to be purchased and installed with new homes. This can add up to a lot of extra money out of pocket instead of having them included when you buy resale. Most new homes will have an unfinished basement, which means 33% of your asset is not being used productively. If finished, it could drive higher rents, or even better, be used as a complete second suite to really maximize things. Of course, the work can be done down the road for a price, but until then you have an under-performing asset. The time between you handing over money to the builder and when you take possession can vary. During that time you could have an income-producing asset for yourself. You would be still benefiting from appreciation, but also cash flow. In fact, depending on the strategy you use, the same investment could lead to two or more properties working for you while you wait for the builder to finish their project. Ultimately, you have to decide what is right for you and your investing preferences. Selfishly, we always want our money working for us rather than giving it to other people so they have it working for them. But there is no right answer for everyone as to whether a new home or resale is better. Opportunity is opportunity. Take advantage of it! 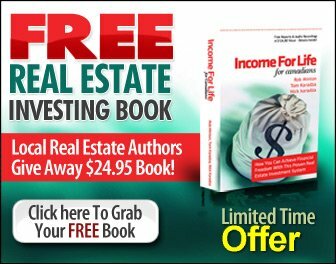 Grab a free digital copy of our real estate investing book, Income For Life For Canadians, right here. This book has been downloaded over 22,597 times and has helped hundreds of investors kick-start their investing with simple and straight forward strategies that you can implement right here in Canada. You'll also receive our weekly [Your Life. Your Terms.] email newsletter with the latest investing updates and videos. 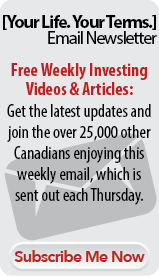 Free Weekly Investing Videos & Articles: Get the latest updates and join the over 10,000 other Canadians enjoying the weekly [Your Life. Your Terms.] email newsletter. The email is sent out each Thursday. And as a little bonus we'll give a FREE digital copy of the book, Income For Life For Canadians, too! Free LIVE Investing Class: Do you live in the Greater Toronto or Golden Horseshoe Area? 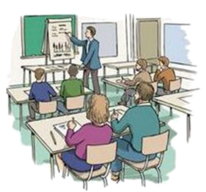 Come out to our next introductory "Investing in Nice Homes in Nice Areas" Real Estate Class. Get all the details by clicking here. It's 90-minutes and you'll learn a ton - promise!Thousands of investors have now joined us for this class and the feedback has always been amazing.